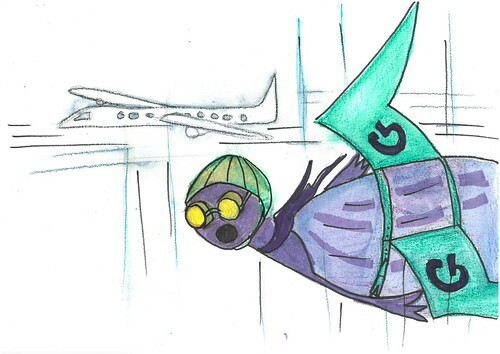 Gally, the purple flying turtle, was flying through the air at 100 miles per hour when suddenly an airplane soared by. Gally got scared and plummeted to the ground. He fell onto a sandy beach and from that moment on, Gally hated heights. He was very dazed and when he looked up he saw a big red hippo. The hippo stood on him and Gally squelched into the wet sand. Gally tried to find his feet to get up, but he couldn’t manage to. He realised it was quicksand and he panicked. “Help meeeeeee!” bellowed Gally as he felt a sharp pain on his back. The hippo heard a noise and turned her head. Rebeeka started to make small talk. She didn’t even realise that Gally was sinking, with a cracked shell and a bad mindset.